There are many times when a government is dependent to the help of others, either other governments, or world institutions, such as the World Bank or the UN. Most governments seek to gain a level to autonomy. Autonomy is when a government is self-governing, which means that the government must be able to make their own decisions, must be at lease to some extent be able to financially support itself and its decision, and must have freedom from outside forces. 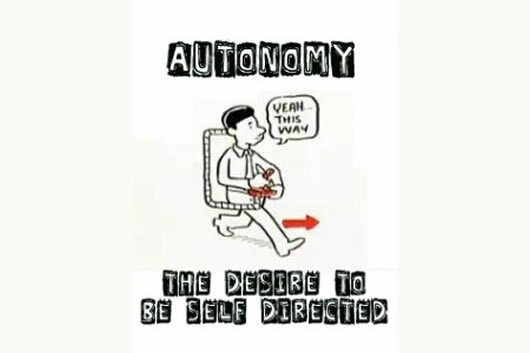 The word autonomy is rooted in Ancient Greek, and is derived from “auto” meaning “self” and “nomos”, which means “law.” Hence, “autonomos” means “self-law”, meaning “one who gives oneself one’s own law”, i.e. the ability to control and govern oneself. The term autonomy can all apply to an individual, a company, an organization, or a community. In order to be considered autonomous, the same rules apply; the person, company, organization, or community, must be able to make its own decisions, must be able to support themselves, and must be free from external control or influence. The concept of autonomy is found in moral, political, and bioethical philosophy. It basically means that a rational individual has the capacity to make an informed and un-coerced decision.